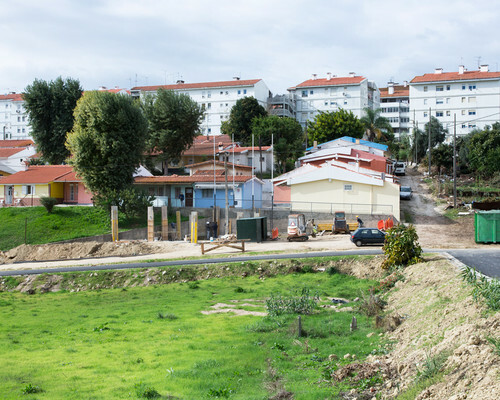 BIP/ZIP is a pioneering strategy by the Lisbon Municipality’s Body of Housing and Local Development, promoting partnerships in the city’s priority neighbourhoods. Besides establishing local governance structures that facilitate communication and shared decision-making between the public administration and neighbourhood organisations, BIP/ZIP also includes an ignition funding programme for community partnership initiatives with a strong local impact. Beyond hundreds of interventions at the neighbourhood level, one of the offsprings of the BIP/ZIP programme is Lisbon’s Community-Led Local Development network, an EU-funded governance scheme including over 150 NGOs, private enterprises and the local government. How would you describe the BIP/ZIP Local Development Strategy of your Municipality? This BIP/ZIP strategy aims to promote social and territorial cohesion, active citizenship, self-organisation and community participation. The BIP/ZIP journey from the beginning to the present day has been characterised by some keywords: fracture, participation, priority, community, partnership, responsibility, network, change and energy. I will start with the question of fracture. People in the city, from the municipality, citizens and other actors knew that Lisbon, as any city in the world, is not always in balance. There are fractures in the city due to social, urban or environmental issues. Therefore our main concept in 2010 was to identify areas, neighbourhoods that were lacking the minimal levels of cohesion in terms of urban, social economic, and environmental conditions, lacking connection between the voices of the local citizens and the local authorities. The aim was to ignite partnerships, to connect the city and the people in these areas to find answers for the future. The areas we call BIP/ZIP (the name is an acronym for priority intervention neighbourhoods) are areas that we need to prioritise in urban development. The goal was to impact the citizens’ lives and promote social cohesion in the city by supporting and to promoting local projects and partnerships, creating networks and establishing links between the real problems of the people living in these areas and the decision-makers. How did you identify these priority areas? 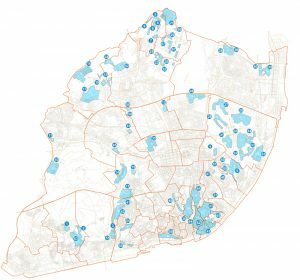 We collected statistical information about social, economic, urban and environmental factors to see which areas are the most deprived in the city and we surveyed these areas; we identified and mapped the city’s social and territorial fractures. This kind of mapping was a first in the city and in the country: a truly innovative concept in 2009-2010, using a scientific and mathematical approach to identify the real problems of the city and its citizens. We used national census data (that is generated once in every 10 years) and other municipal and government data that is more recent. We crossed many datasets and maps in order to understand social and territorial dynamics. Besides mathematics, how did you make this process participatory? Participation is another benchmark of this process: we discussed these findings in a very intense public consultation with the participation of all kinds of stakeholders. We worked closely with the selected areas and connected the people active there to local authorities and organisations. Through public consulting and surveys, we received feedback about the local perception of the social, economic and environmental issues we mapped: this helped us refine our priorities. As we identified the BIP/ZIP areas, we gave them flexible definitions, because it is not easy to give a a neighbourhood a boundary: a neighbourhood is a culturally, historically and administratively defined area, a dynamic concept. What is the result of this survey? The BIP/ZIP chart or map, if you want, is a municipal political instrument, with 67 neighbourhoods all over the city, not only in the peripheral areas, but also in the historical centre. We identified problems of cohesion and deprivation or issues of elderly people with limited mobility in the hills, in downtown areas as well. In terms of the whole city, if you add up all these areas, we have approximately a third of the city’s population living in deprived or BIP/ZIP areas: a problem that generates an immense opportunity for the city, as the BIP/ZIP results in these past few years have demonstrated, so it is important to empower the stakeholders in the community and to reinforce partnerships, networks, informal connections that help these communities to have an active role in their city. This mapping process resulted in two programmes. One consists of local structures for co-governance, that we call GABIPs. They are local offices for the BIP/ZIP that promote partnerships between municipal technicians, elected officials and local stakeholders to promote and steer initiatives, investment and regeneration for the neighbourhood. The other programme is a funding investment for partnership and local intervention, at the heart of the BIP/ZIP. This programme provides funding for small projects, for networks of local initiatives and non-profit organisations to develop in the BIP/ZIP areas. There has to be minimum two organisations working together, we don’t accept the application of only one organisation. They can apply for a budget of up to 50.000 euros to work on one-year project: they have to spend the money in one year but have to be sustainable on the long run (for one or two years afterwards). The partnerships have one year to show results. This is important because some communities take a very long time to get things done, but we want to have short-term results as well, we want people to see the difference, for instance, the materialisation of a playground or a garden in 6 or a 8 months. These organisations make the analysis of a local problem, develop the partnership, define the objectives, define the activities, the framework, the timescale and the goals. They make an application to our programme through the locally elected borough council, where a jury selects the best ones. If they are approved by the jury and the municipality, they are funded to run the proposed initiative. The programme is very open to all social, environmental, urban initiatives. The entities that can apply are local non-profit organisations and local elected districts. We have an online application process and any initiative can apply. The program allows informal groups to participate in the program as long as they bond in a local network with formal organisations. Some applicants are not formal organisations or are not very skilled with technology or the application process but we want also these organisations to participate because they are local stakeholders and important representatives of the community itself, and the BIP/ZIP programme is the only municipal initiative that can fund projects that have informal organisations in their partnership. Informal associations like residents’ committees that are not formally registered are sometimes our most important partners, with specific skills and contributions to the work of the partnership. In some cases, local inhabitants’ committees enter the BIP/ZIP program as informal organisations and they get formalised during the process. We’re open to all kinds of initiatives, from a community kitchen to a skatepark, from local parks to domestic violence prevention. When we have a larger and a smaller organisation partnering in a project, we want the larger one to descend a bit to the realities of the smaller one, and the smaller organisation to reinforce its skills through cooperation with the larger one. This process creates more capabilities and capacities for both organisations. It’s important to connect initiatives with a great innovation potential to organisations that can reach the local communities better, and are able to speak to them and involve them in the process. What is the general profile of the supported projects? We have a lot of different projects. One is in a historical neighbourhood where we work on social cohesion and citizenship by linking old people with local children and promoting public space as a connection between generations. Another one, a flagship project of BIP/ZIP aims at engaging the local community with designers to recycle waste materials and produce refurbished design pieces. These products, in fact sell very well, also internationally and are also collected in museums: it is also a good practice recognised by the European Commission. Another project is a mobile caravan for the community with internet, administration services from the local authorities and a kind of a médiathèque. In general, the initiatives range from culture to shops and social projects, from immaterial ones to material ones, sports, urban agriculture, everything. They have to prove that there is an important need in the community for the proposed intervention and that it is the right project to do at that scale. We are not talking about 5 million euro projects but small ones. These are local projects that aim at creating jobs, new skills and improving self-esteem for people living and working in these areas. For the neighbourhoods, these projects promote new visions and approaches, for instance, about how to turn waste into a resource and how to involve unemployed people in the process. There are also community centres that were born with the help of the programme, and that offer various educational, cultural and health services for the community. Are the one year project period or the 50.000 euro start-up funding not too limited for the initiatives to unfold? We give funding for one year, and projects have to deliver a final report at the end of this period. In the meanwhile, to get this funding, initiatives have to demonstrate a two-year sustainability plan in advance. For many projects, it is difficult to maintain the intensity of an activity after the end of the funding period, but the objective of the programme is to select projects that have the capacity to function independently after the funding period. We press them towards this and can help them reach sustainability with different means. Some projects still return to us for funding in their second year: we cannot fund them for the same activities but can fund an upgrade. For now, the budget comes only from the municipality. 50.000 euros for a project are not always enough but this investment normally multiplies in the community, in terms of energy and also finance. In the beginning they have only this sum to begin with to plan their activities, but relying on the fact that they have a BIP/ZIP project with the funding approved, once they start connecting locally with other actors, they can also approach local companies that have social responsibility programmes for additional funding or help with materials. In case they get extra funding from other actors, we still want them to spend the 50,000 euros they receive from us, but we tell them that they need to increase their activities. We want them to spend money in proportion with their activities. It happens with most projects: we can say that they have an average increase of their budget with almost 50% from additional funding. This expansion also duplicates their network: if you start with four partners in the application, normally you end with six to ten in the same network. Besides funding, what else can you help initiatives with? As part of the strategy, we also established local structures for co-governance, that we call GABIPs. GABIPs are present in BIP/ZIP neighbourhoods with their local offices, and consist of a coordinator from the municipality and an executive committee with local key stakeholders of the urban regeneration process, local authorities, local associations and other actors. The precise composition of this committee depends on the technical, urban, social, environmental, cultural, educational aspects of the related projects: usually elected officials and representatives of the Department of Housing and Local Development are involved, but elected officials from other departments can also take part. The GABIPs allow the municipality to move decision making to the local scale and share it with local actors. The BIP/ZIP Local Development Strategy is closely connected to the municipality’s overall vision of local development with local partnerships. Communication is crucial in this: if you connect community voices with those of the municipality, even a project that is not is not immediately so successful would create important links between people and partnerships that might generate new processes. For example, we had a proposal for a skate park, selected for funding by BIP/ZIP. The idea came from the neighbourhood, although nobody there knew how to skate. Why did they want a skate park when so many other things were also missing from their public spaces? Because it was a statement: they wanted to bring in to the neighbourhood young people and new urban communities. In the process of building the skate park, the municipality’s technical officers met the community group to explain about the planning and development of the project. This connection, made possible by BIP/ZIP, brought together inhabitants and technical offices in the municipality. And later, in relation to other regeneration projects, the technical officers were telling us “we need your help because we want to do this in the public space, and it would be good if we talked with the community before.” They had a communication link that was not opened before, it was opened by the skatepark initiative and remained active in other projects as well. Imagine this dynamic multiplied in 67 areas, 67 BIP/ZIPs. The most important dimension of BIP/ZIP is the confidence and shared responsibility between the municipality and the community. The community can say: “Hey, we’re here, we’re having a problem, can you do something about this?” And we have a direct communication link, we are sitting at the same table working together, and this creates special relationships. What is the scale of the programme? Is it capable of reaching out to larger groups of the public? We have received almost 500 applications and funded more than 230 projects, small initiatives all over the city. We have used a budget close to 9 million euros so far. Within the BIP/ZIP programme, we are already talking about a big family: there have been almost 400 organisations actively engaged in BIP/ZIP projects in the past five years. How do you communicate with so many partners? As the cooperations generated by BIP/ZIP are based on trust, they also require good communication channels as well as wide-spread information about the communities around the projects and other other initiatives across the city. Our next challenge is to establish a platform that can provide online access to all the skills and tools that were created in the programme. We are using new communication tools to maintain the level of participation between the communities and the municipality, and to create a participatory diagnosis of the areas in question. Right now we have a common Facebook page where we invited all BIP/ZIP initiatives to feed the page themselves, we only moderate a bit. It’s a simple means of making their activities more visible and to connect them with each other. Besides this, we are planning to enhance the online platform for monitoring initiatives in real time, together with engaged communities. What are the next steps in the programme? We are working on the new survey now, on the revision of the BIP/ZIP map, and we will compare it with the previous map to understand how the city has been changing in the past years. In the past years, BIP/ZIP has become an important brand of the municipality and generated many partnerships at the neighbourhood scale, and the Community-Led Local Development network at the scale of the city. While the programme needs to be approved every year, we are thinking about how to make it more permanent, enabling us to plan more in advance. All the funded initiatives provide us with experiences that help us refine the BIP/ZIP programme: it is not a bare methodology, but a work in progress. Community, Economy, Governance / Shared administration, Lisbon , Bip/Zip, Funding the Cooperative City, governance, migration, municipality, network, social enterprise.